Andrew and Helen are marrying in exactly one years time and thought it prudent to schedule their pre-wedding shoot in at this early stage to allow us to look at the locations and lighting at this time of year. Following a late night flight on Monday it was an early start Tuesday, for a day looking at locations around the islands, hitting the popular tourist spots and also looking for the quiet 'off the beaten track locations' in advance of the pre-wedding shoot on Wednesday. 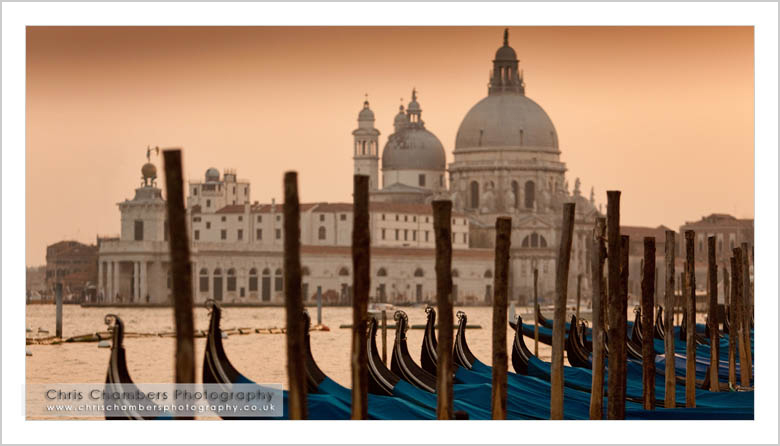 After meeting up with Helen and Andrew outside their wedding ceremony venue we took a look around inside, the ceremony room providing great views of the Rialto Bridge and Grand Canal from above the busy street. From here we headed off to St marks Square via a possible photo location Andrew and Helen had looked at and wanted my opinion about. With Andrew leading the way we (and this is no dig Andrew!) eventually arrived where we needed to be. 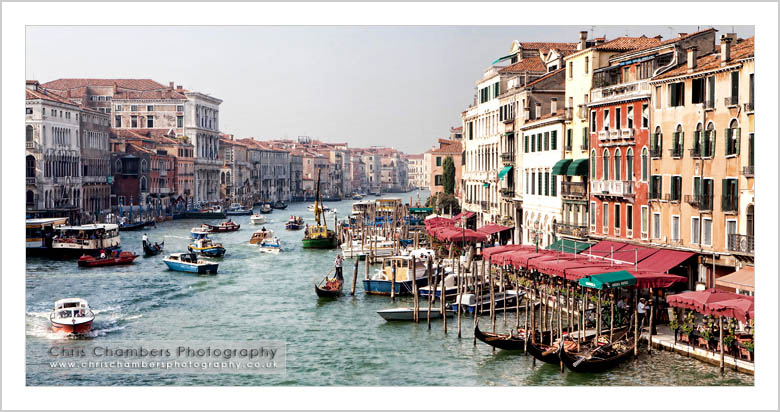 They say you haven't been to Venice unless you've got lost and well, upto today I'd managed not to, at least Andrews navigating helped me tick off another of the tourist must dos! 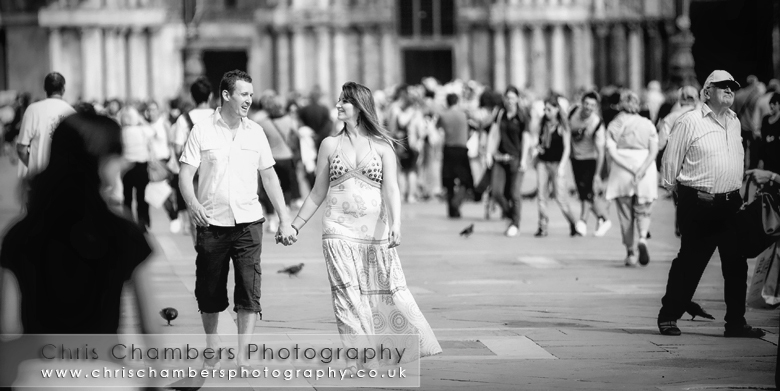 The benefit of the pre-wedding shoot quickly became apparent when we started looking at the logistics involved in moving all the wedding guests across the busy city and having an easy to find focal point to meet up. On their wedding day, Andrew and Helen plan to leave the ceremony and head off by Water Taxi to enable us to make a start on the photographs before the guests join us. Thanks to the pre-wedding shoot we have now sorted the locations for the large and small family groups and have plenty of ideas for locations for Helen and Andrew. Fingers crossed the weather is as good this time next year. During Tuesday's walk around it was easy to shoot a few scenic images, returning at sunset to capture some further photographs I'd envisaged during the day. 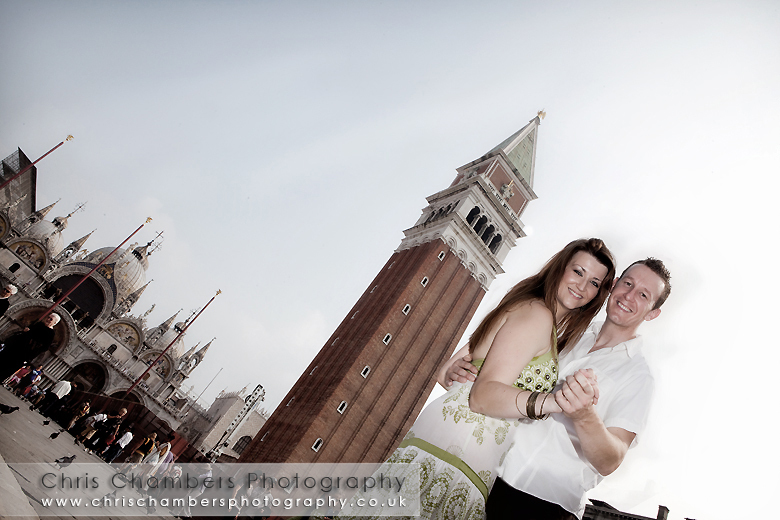 Helen and Andrew added: Wow, pictures are fab!! We had a brilliant time and really enjoyed the shoot with you. Can't wait for the wedding now we have been and seen everything and the photos are sure going to be spectacular. 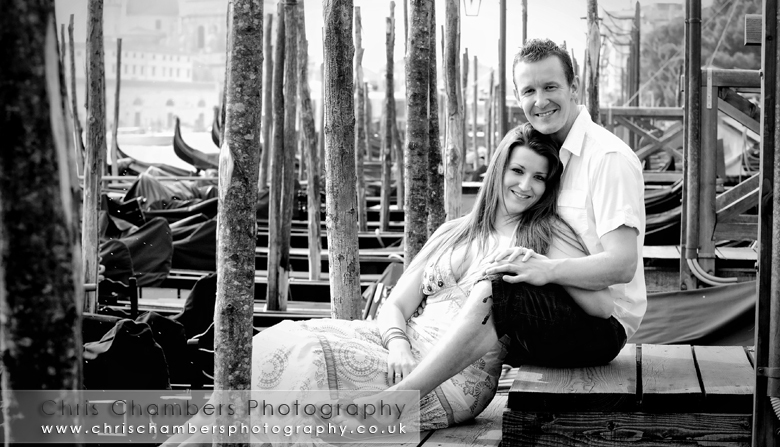 Andrew and Helen's pre-wedding photo shoot in Venice Italy, September 2009. 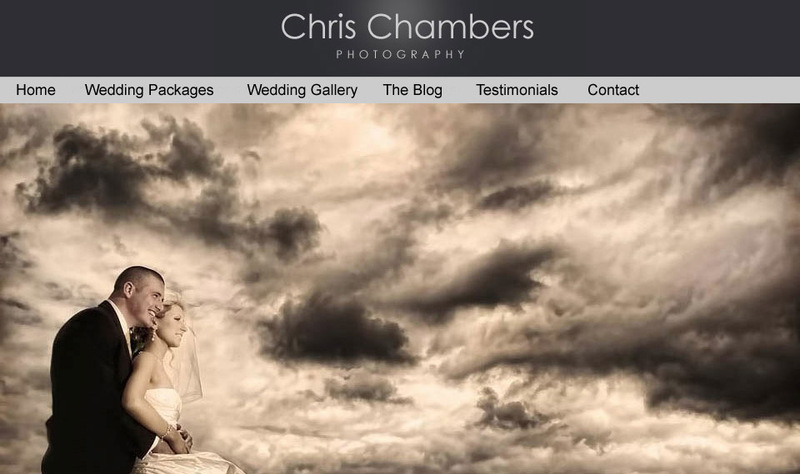 Wedding photography from Chris Chambers international wedding photographer.